Are you smelling that xxxx? Tom Cruise will end you. Stay Frosty royal milk tea? More like, I didn’t know fall out boy liked Lafayette! The plain Am throughout the whole first part on +1 sounds really plain, any suggestions on how to spice it up? I think you can play Dm at the end of each line and it sounds better. wOAh I have been waiting for new m a n i a songs thank you!! your user name is probably the best thing ive seen all day. 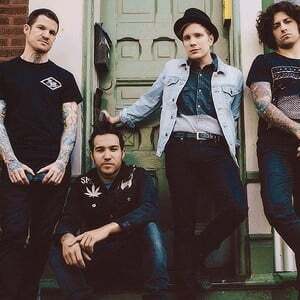 Fall Out Boy is a band formed in 2001 in Glenview, Illinois after good friends Joe Trohman and Pete Wentz met high schooler Patrick Stump. Stump originally auditioned as a drummer, but soon became the lead singer. The following year, the band debuted with a self-released demo and followed it up with the May 28, 2002 release of Split EP, which featured Project Rocket, on Uprising Records. The group released a mini-LP, Evening Out With Your Girlfriend, also on Uprising Records, in 2003.